One of the best restaurants on the island serving delicious dishes with innovative combinations and high-quality Santorinian products. Every day, two or three excellent proposals are added to the main menu -such as crab salad, sea pasta, well-grilled meat, fresh fish- but also traditional Greek dishes, such as staffed tomatoes-peppers and mousakas. 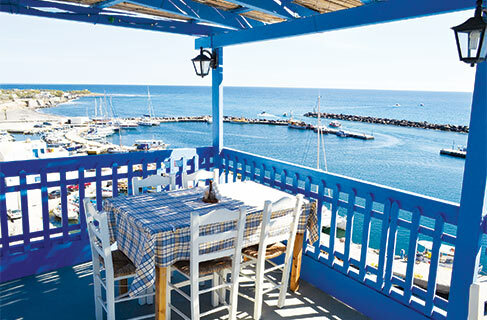 Choose a table on the veranda overlooking the marina of Vlyhada.